So your whole life people have been telling you just how lucky you were, so you finally decided to test their theory by starting to gamble? — Good luck then! Gambling can be a lot of fun if done responsibly and carefully. But you mustn’t fall into the trap many people before you did; letting gambling become your main source of income. I suppose you’ve already tried most of the casino games, right? The rush you get from playing slots, how proud and smart you feel by outwitting everyone at the poker table, and the tension at the roulette table. Yes, betting can definitely make your life a lot more interesting, especially if you win big. However, what happens when you start constantly losing and all gambling becomes boring and stressful? — Well, most importantly, don’t overdo it. But also, you should turn to mother math. Frustrated players who kept losing in casinos decided to find a way to outsmart them, and as a result, started to invent strategies on how to increase their chances of winning. What’s the difference, you might think? After all, these two words are nothing but synonyms. — Well, not quite. To gamble is to purely test your luck without any idea on the likelihood of the outcome. However, betting is when you have a strategy; think of poker for example. 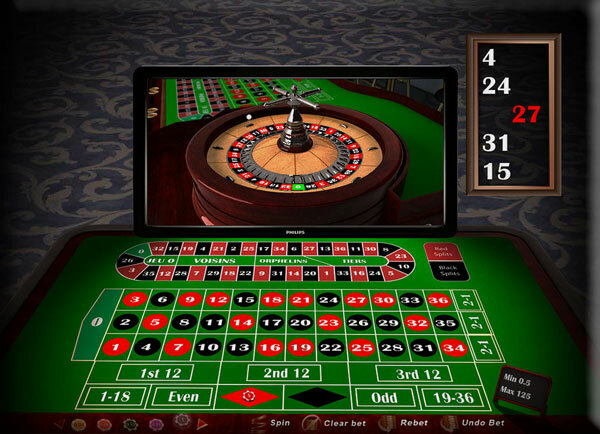 Most of the people today prefer quick-paced gaming, and machines such as roulette and slots offer just that. Roulette has been around for over a century. It was brought to France by Francois and Louis Blanc and instantly took Europe by storm. The best thing about this game is that it never changed; there are just variations. 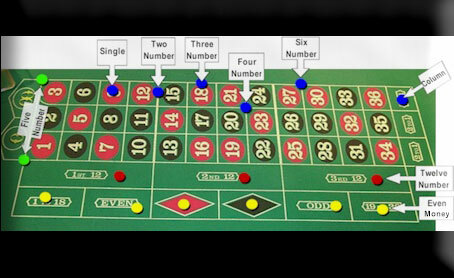 You’ll be able to find three main types of roulette nowadays; French, European, and American. They are all very similar, except for minor differences. Personally, I advise you to go for the European roulette whenever you can (or French if available). The numbers on any roulette are marked red and black, and there’s always a green zero. And the zero is the most hated number in this game, it means all the bets are going to the casino. So while European roulette has only one 0, the American version has two, a 0 and a 00. A ball landing on any of the two will result in you losing your money to the house. French roulette, however, will take only half of the bets, should the outcome be zero. My warmest piece of advice to all of you is to stick to the European version — your odds of winning will be a lot higher. How Do You Beat Roulette? It might seem impossible, as you simply need to put a bet on any of the numbers and pray the ball lands on the one you chose; or so you might think. There’s so much more to roulette than sheer luck, and since I’m always rooting for the players to win, let’s get familiar with a couple of roulette betting strategies. Whether you’re playing an online roulette or in a real casino, these strategies could work for you. The roulette system is always the same — but the only difference is that it’s controlled by the RNG (Random Number Generator) when playing online. When it comes to betting types, there are outside bets and inside bets. The outside bets are the boxes outside of the numbered grid. In these boxes, you can bet on colors (red or black) and odd or even numbers. How Do These Strategies Work? Fear not fellow gambler, these methods are really easy to figure out. Perhaps you might find your favorite and stick with it for a while. This one is interesting. Essentially, whenever you lose, you are supposed to double your bet. So if you bet $2 and lose, then bet $4 and so on. But once you win, go back to your starting bet, which is $2. This method promises to save your money and lets you make up for the loss you’ve previously suffered. It’s an online roulette strategy as well, so don’t be afraid to use it in case you prefer playing from the comfort of your own home. The most important thing about this strategy is the timing — you need to know when to stop, and that is when you start winning big. Named after Henry Labouchere, this strategy has always been quite famous. It might seem a bit complicated, so hold on, I will do my best to explain it thoroughly. Most importantly, you should use this method for even odds only. Which means you’ll be focusing on the outside bets; red or black and odd or even numbers. It promises to increase your chances of winning by 50%, so let’s dive into it. First, you need to have a sequence of numbers, e.g. 1 2 3 4. Your first and last numbers summed up present the total value you should bet, in this case, $5. If you win the round, you remove the two numbers and sum up 2 and 3, which makes $5 again. However, if you lose, then you need to add the amount lost to the sequence, $5. In that case, you have 2 3 5 and your total value is $7. If you win then, 2 and 5 need to be crossed off. With all the other numbers crossed out, the only option you’re left is $3, and if you win the round with this number, the cycle is over. After that, you can start a new cycle to continue betting. Also known by the name of Gambler’s Fallacy, this method is questionable, to say the least. Nevertheless, it worked for many. Jean d’Alembert claimed that if you want to trick the roulette, you need to increase your betting number on the roulette by one whenever you win and decrease it by one each time you lose. For example, if you pick 15 and lose, your next number should be 14, and if you win, then the next number should 16. It sounds simple and fun, so feel free to test it. However, just make sure you don’t lose a lot of money. Developed by the best mathematician of the middle century, Leonardo Pisano, this strategy comes as a sequence of numbers where the 3rd number is a sum of the preceding two and represents the value you should bet on. Confused? — I was too. As an example, let’s use this sequence: 1 1 2 3 5 8 13, did you catch it? In case you didn’t, here it is: 1+1=2, 2+3=5, 3+5=8, 5+8=13 and so on. The whole point is whenever you lose you need to go two steps back so you don’t lose too much money. This method got its name from the Latin word ‘Par,’ which means equal to. Here’s the thing — to use this strategy, first you need to be on a win streak. I do advise you against this strategy as it demands a lot of money. Basically, you simply sum up 3 of your winnings. So if you won $5 in three rounds, your next bet should be $15, and so on. However, according to this method you’re set to lose three times as well. Overall, your outcome should be about 10% more from what you invested. I don’t advise you to use this one unless you’ve got really deep pockets. Technically, it’s the same as The Martingale strategy, only you don’t double your bet after each loss, you triple it. Seems like quite a risk, so approach it with caution. This system is based on the “Law of the Thirds,” and it is quite unpopular because it probably won’t help you win. However, it’s still important to mention it, just so you’re not tricked into thinking it is very profitable. To put it simply, the strategy claims one of the previous 8 winning numbers will probably show up again at one point. Let’s assume the winning numbers were 4 10 20 33 15 12 8 5, you would need to let the wheel spin a couple of times before putting your bet on number 4. In case you lose, your next bet should be on 4 and 10, and each time you lose you would need to add one more of the eight numbers. Personally, I wouldn’t play with this method too much because RNG today is well developed and this pattern is not likely to happen. This man came up with a system to trick the roulette, and it works based on the Chaos Theory. This one goes to all the roulette players really good at math. But if your math skills are as questionable as mine, I would advise you not to try this strategy. The Chaos Theory calculates the ball’s journey around the wheel and slots, and as a result, is able to predict where the ball lands. The system requires a lot of thinking and calculating, but they say great things come to those who work hard. So put your thinking hats on and get to work. Now that you know all of these strategies, you’re destined to become a roulette master. All jokes aside though, play carefully and have fun testing out these famous methods. You will either win or have a lot of fun, so if you’re cautious with your money, you can never lose. It’s a great feeling to win against the house edge of any casino, may it be online or ground-based. So best of luck on the roulette, and remember to always be responsible.